Video of George W. Bush listening, not speaking, was edited into a six-hour loop (sample footage above). A soundproofed booth housed a monitor displaying this footage. Entrants were invited to express themselves to the artificially contemplative Bush. 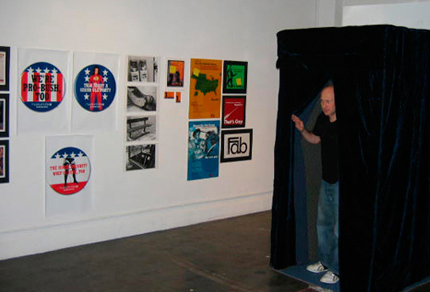 From '02 to '04, The Bush Booth appeared at galleries across NYC, Chicago, and Amsterdam.